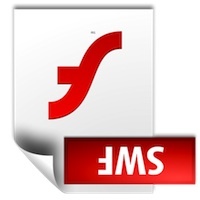 Swiffy is a new experimental tool from Google that easily converts SWF Flash files to HTML5, making Flash-only content accessible to hardware like the iPhone and iPad in just a few seconds. This should be a really useful utility for designers and it’s well worth a bookmark if you work with HTML5 and Flash content for the web or elsewhere. Swiffy conversion works best if you export Flash animations as Flash 5 files, and the output currently only works in Webkit browsers (Safari and Chrome, for example). The results are fairly impressive and Google included a small gallery showcasing a few examples including a converted ad unit and two simple games. I’d be really interested to see how this performs with more complex SWF files, I’m sure we’ll find that out soon enough. The release of Swiffy from Google is kind of interesting and shows that HTML5 really is the future of web animation, and regardless of Google’s reasons this is a welcome utility for Mac and Apple users. It’s no secret that Flash is a pretty miserable experience on the Mac, which is exactly why Steve Jobs gave a big ‘no’ to including it on the iPad and iPhone. It’s also why we generally recommend using things like ClickToFlash, Click-to-Play, and to some extent even selectively using ad blockers, it just makes for a better web experience on the Mac, at least until HTML5 has finally pushed Flash the way of the dinosaurs. This has limited use, the only time I run into Flash anymore is with advertisements and those are quickly changing to native HTML5 anyway.